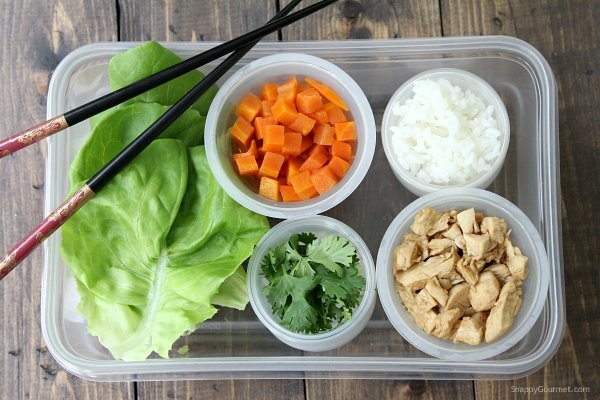 Easy Chicken Lettuce Wraps, a healthy lunchbox recipe with an easy teriyaki sauce. These Asian chicken wraps also make a quick week night dinner or appetizer! I’ve teamed up again with one of my favorite brands, Libby’s®, for these healthy Easy Chicken Lettuce Wraps. You may remember my Cheesy Apricot Chicken Bake earlier this year with Libby’s® and I think you’re going to love this recipe too. 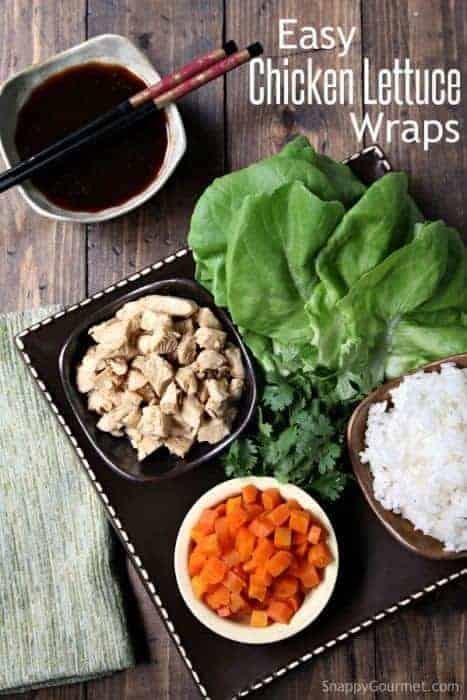 Just in time for back-to-school, these Easy Chicken Lettuce Wraps are perfect for an easy lunch or quick family dinner! 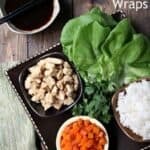 These Easy Chicken Lettuce Wraps are so versatile and can easily be tailored to your family’s likes and dislikes. 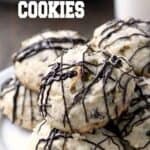 They make a great quick lunch, dinner, or appetizer. You can make the wraps for dinner then send the leftovers with the kids in their lunch bento box style. 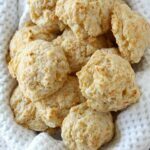 This recipe makes 4 servings but you could easily cut it down to a single serving or multiply it for a crowd. 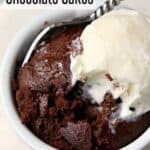 Each serving is also less than $2.00 so can’t beat that! 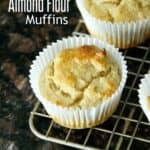 Inexpensive, quick, healthy, and easy…love it! The highlight of these lettuce wraps are Libby’s® 4 oz. Vegetable Cups. 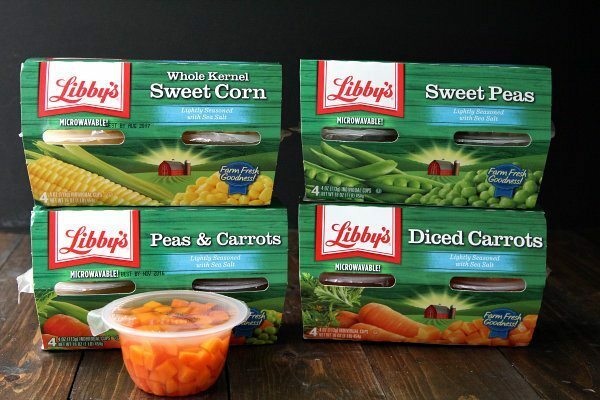 These individually packaged vegetables cups come in a variety of vegetables including Diced Carrots, Green Beans, Peas & Carrots, Sweet Peas, and Sweet Corn. I used the Diced Carrots for the lettuce wraps, but you could substitute any of the other vegetables. The vegetable cups are individually packaged so they are great to stick in a school lunch or just have in your bag when you’re on the go. My family likes the vegetables at room temperature but the vegetables are also good cold or the cups are also microwaveable. I LOVE that all the vegetables are grown and packed right in the United States! They are also all rich in Vitamin C, and free of saturated fats and trans-fats, another great bonus! We always seem to have leftover chicken in the fridge so these lettuce wraps are a perfect meal to use up all our leftovers! If you don’t have leftover chicken, you could use a rotisserie chicken or quickly bake/grill a few boneless chicken breasts. I chopped my chicken into small cubes, but you could use shredded chicken. Instead of chicken you could substitute your favorite protein. Chopped precooked shrimp would also work great! This homemade teriyaki sauce only takes a few minutes to whisk together. I added orange juice to the teriyaki sauce to give a little more flavor and sweetness but you could use your favorite citrus juice. Mix about half of the teriyaki sauce with the chopped chicken then be sure to reserve the remaining teriyaki sauce for serving and dipping. 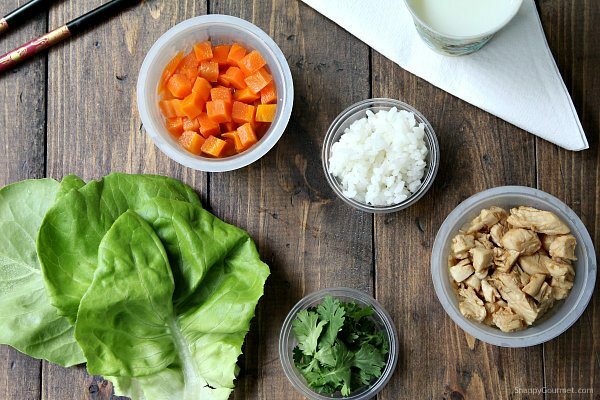 These lettuce wraps make a fun lunch for the kids. You could probably assemble these lunches with containers you have around the house (resealable bags are always an option too) or if you’re feeling creative check out all the cute bento box options and bento box accessories on Amazon. In addition to the teriyaki sauce and chicken, I like to serve these lettuce wraps with rice, fresh cilantro, and Libby’s® 4 oz. Diced Carrot Vegetable Cups. I LOVE how handy these vegetable cups are and hope you enjoy them too! 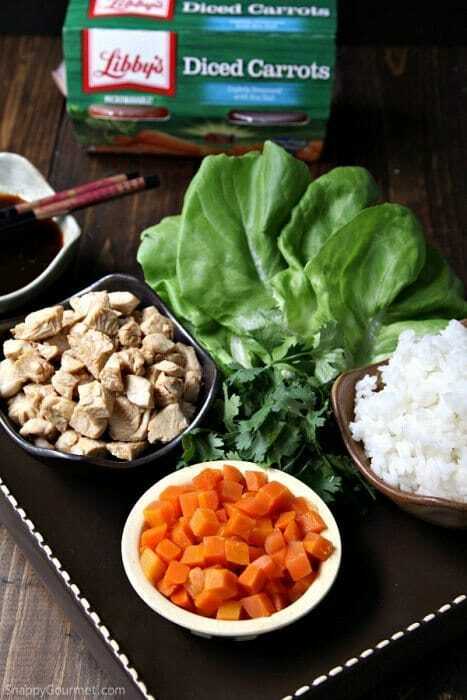 So many other possibilities of ingredients to add to these Asian lettuce wraps. Chopped green onion, water chestnuts, cabbage, and nuts are also great additions, as are Libby’s® other vegetable and fruit cups. I think Bibb lettuce is the best lettuce for lettuce wraps but you could use baby romaine or even iceberg. Even tortillas would be a great substitute. If you’re looking for a gluten-free meal, but sure your soy sauce is gluten-free. 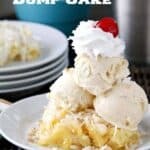 Always double-check all your other ingredients too. I hope you enjoy these Easy Chicken Lettuce Wraps! Thanks for visiting Snappy Gourmet! 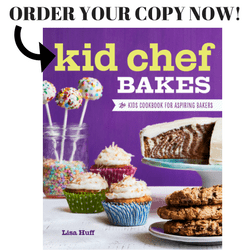 Be sure to check out Libby’s® website for more recipes and also on Facebook, Twitter, and Pinterest. 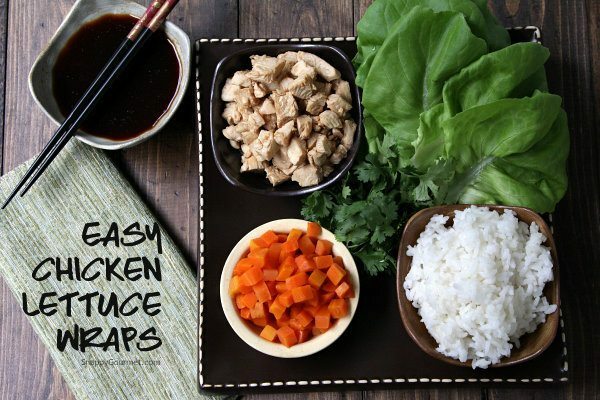 Easy Chicken Lettuce Wraps, a quick lunch, dinner, or appetizer! In a small bowl whisk together the soy sauce, orange juice, water, brown sugar, Worcestershire sauce, ginger, onion power, and garlic until well combined. 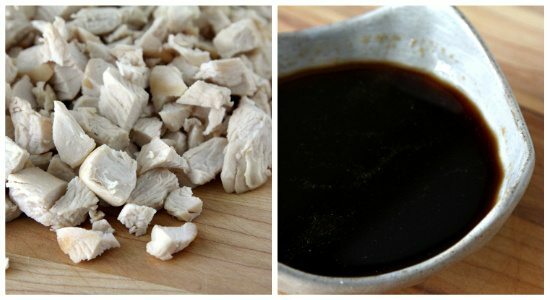 In a medium bowl, mix together half of teriyaki sauce with chicken until well combined. 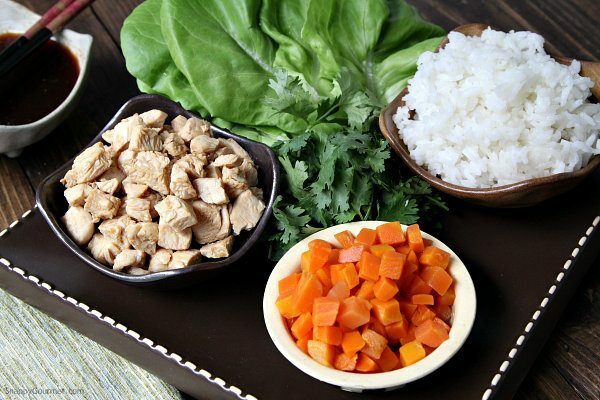 Assemble lettuce wraps as desired with chicken, rice, carrots, and cilantro in lettuce. Serve with remaining teriyaki sauce for dipping. 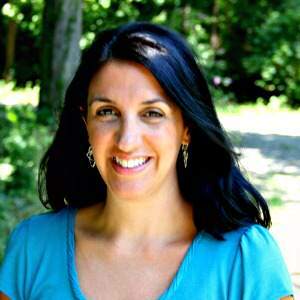 SNAPPY TIPS: I like to use Bibb lettuce but you could also use baby romaine or your favorite type of lettuce. For a sweeter teriyaki sauce, add additional brown sugar. SNAPPY SUBSTITUTIONS: Instead of lettuce, you could substitute tortillas. Instead of chicken, you could substitute chopped precooked shrimp or your favorite protein. 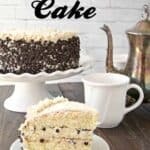 GLUTEN-FREE: For a gluten-free option, be sure the soy sauce you are using is gluten-free as well as other ingredients. What’s not to love! Lettuce wraps are the best!! I’ve never made lettuce wraps before, and I love how the vegetables come pre cut and ready to go! so convinient!! Woah! I am loving these pre-packaged vegetables. This has gotto be the quickest most delicious and healthy meal ever! These look like great lunch sandwiches for the older kids for school.